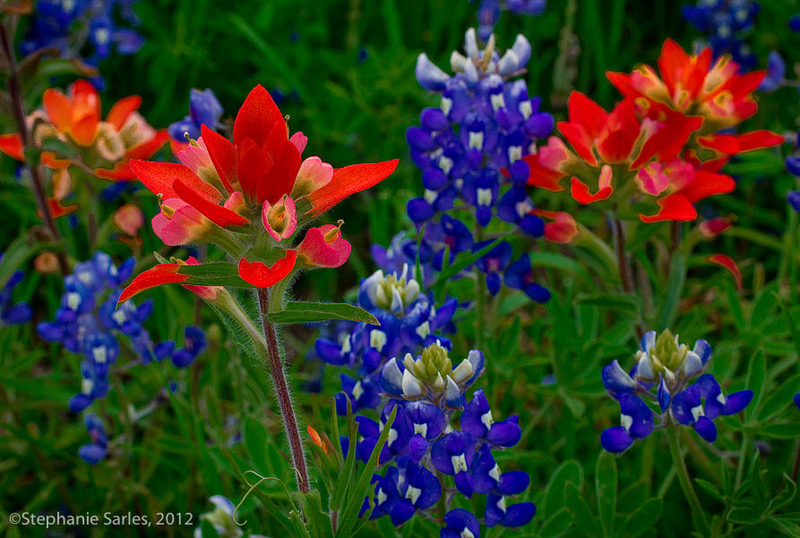 Bluebonnets and a maroon bluebonnet; photo by sarowen on Flickr (noncommercial use permitted with attribution / no derivative works). Bluebonnets are not just the state flower - Texas has also designated an official bluebonnet tartan, bluebonnet city (Ennis, Texas), bluebonnet trail (also in Ennis), bluebonnet festival (Chappell Hill Bluebonnet Festival), and bluebonnet flower song. The original 1901 legislation (Senate Concurrent Resolution No. 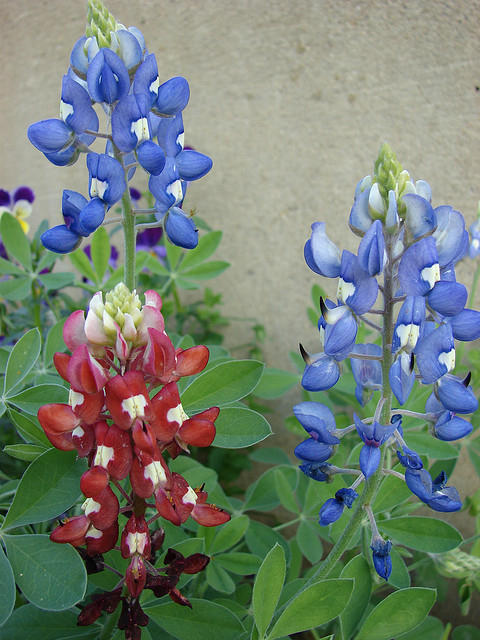 10, 27th Legislature) specifed Lupinus subcarnosus, but was amended in 1971 to include L. texensis and "any other variety of bluebonnet not heretofore recorded" (there are at least four other species of bluebonnet growing in Texas: L. havardii, L. concinnus, L. perennis, and L. plattensis) (L. texensis and L. subcarnosus are native to Texas). Quote from Aggie Horticulture®; Texas Bluebonnets -- Texas Pride: "In the spring of 1901, the Texas Legislature got down to the serious business of selecting a state floral emblem and the ensuing battle was hot and heavy. One legislator spoke emotionally in favor of the cotton boll since cotton was king in Texas in those days. Another, a young man from Uvalde, extolled the virtues of the cactus so eloquently, noting the hardy durability of the plant and the orchid-like beauty of its flowers, that he earned the nickname of "Cactus Jack" which stuck with him for the rest of his life. He was John Nance Garner and later became vice president of the United States." 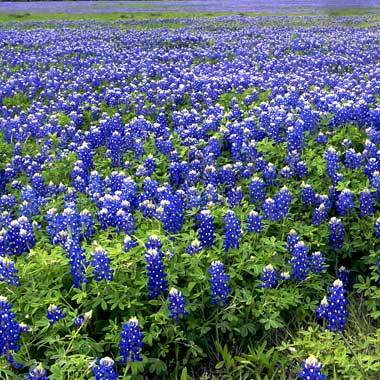 The home of the bluebonnet (the North American prairie) is one of the most endangered ecosystems on earth. The grasslands of North America began to form about 20 million years ago, but in some areas up to 99 percent of the prairie has been destroyed (in just the last 125-150 years). Wildflowers are the jewels of public lands - tread lightly, take only photos and memories - do not pick flowers or dig up plants. Field of Texas bluebonnets; photo by bombay2austin on Flickr (noncommercial use permitted with attribution / no derivative works).